Grass Valley, CA – The wine industry has lost a luminary with the passing of noted author, writer, teacher and tireless advocate of all things vinous, Bruce Cass. Cass died of natural causes at his home in the Sierra Foothills on September 20, 2016. Achieving national acclaim as co-author of The Oxford Companion to the Wines of North America published in 2000, Bruce was a perpetual student and an unforgettable teacher. He reveled in the exploration of Californian terroir in recent years, taking his motorcycle on the backroads and byways of the various American Viticultural Areas. Born in Minnesota on February 16, 1948, Bruce’s family moved to Menlo Park and later Whittier, CA where he attended La Serna High School. His force of personality, wit and humor made him a memorable figure while attending Stanford University where he graduated in 1969 with a degree in Psychology. He won a varsity letter as a member of the football team. He played as wide receiver and tight end for a squad led by Jim Plunkett- the 1970 Heisman trophy winner. He averaged 14 yards per catch during the 1968 season. Early on in his career, Bruce was drawn to wine and was among the first, as he was in so many cases, to formally launch a wine education company, dubbed Wine Associates. He taught wine classes at Stanford, University of California Medical Center and University of California Berkeley. As the nascent California wine industry became more established in the early 1970s, he was called upon by the Wine Institute of California, the trade association to the industry, to create the Wine on Campus curriculum. Additionally he was one of the west coast founders of the bi-coastal team who created the Society of Wine Educators. His deep passion for knowledge and fine acumen with the esoteric led him to initially publish The Winewright’s Register in1985, considered to be a formational book for small wineries in California who were advancing their understanding of viticulture and enology. Quickly, he became a regular expert on the wines of North America being tapped by the likes of both Jancis Robinson as well as James Halliday to be the Managing Editor of 1993 James Beard Award winning book, The Wine Atlas of California. A tireless student of wine, Bruce often traveled outside California to satisfy his thirst for knowledge. His travels included working crush in the Yarra Valley at Coldstream Hills, to exploring the little known but emerging region of South Africa from a wine production standpoint long before it became known on a global stage. His taste for the foreign and unexplored was also satisfied by jaunts to Uruguay, Chile Argentina, New Zealand and much of Europe. After many years of calling San Francisco, CA home, ever the vanguard explorer, Bruce moved to the Sierra Foothills to tend his garden, immerse himself in the region’s wine life and continued with his teachings both there and in the Bay Area. Bruce is survived by his sister, Janet Cass-Baxter and two nephews, Evan and Cameron Baxter. 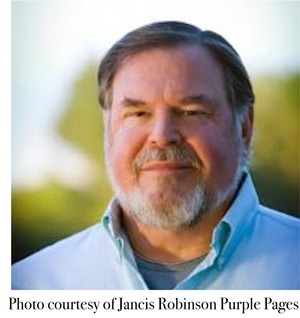 A memorial service is being planned for him in Northern California wine country later this fall.